Join us as we travel across the provinces of Ontario and Quebec to explore the rich history and archaeology of this region of Canada. The country will be celebrating 150 years as a nation, but has a rich and complex history that begins far earlier. On our journey through Canadian Archaeology we will meet with historians, archaeologists and Native Peoples at a variety of unique archaeological sites, spectacular museums, and exceptional interpretive centers. To join us on this tour, or for further information, contact us at tours.tac@gmail.com or by phone at (505) 266-1540. Join us in Toronto, Ontario for a welcome reception followed by a lecture by noted archaeologist, Dr. Ronald Williamson. He will share some of the sites he has excavated with the group and accompany us on the first two days of the trip. We begin our journey on the Niagara Peninsula at the edge of the Canadian-United States border. Dr. Williamson will discuss the excavations at the Peace Bridge site that were carried out in advance of the construction of the nearby Peace Bridge. After a driving tour we’ll visit Old Fort Erie, a British 18th and 19th century fortification twice attacked by American forces during the War of 1812. In the afternoon we will head west to the city of London and visit the Museum of Ontario Archaeology and the Sustainable Archaeology lab, run by McMaster University and the University of Western Ontario. We will spend the night in downtown London in the Delta London Armouries hotel, part of which served the area as an armory in the early 1900s. Dr. Williamson will join us on a tour of the Ska-Nah-Doht reconstructed longhouses and museum just outside of London. The longhouses are based on excavations of 1,000 year-old settlements found in the area. 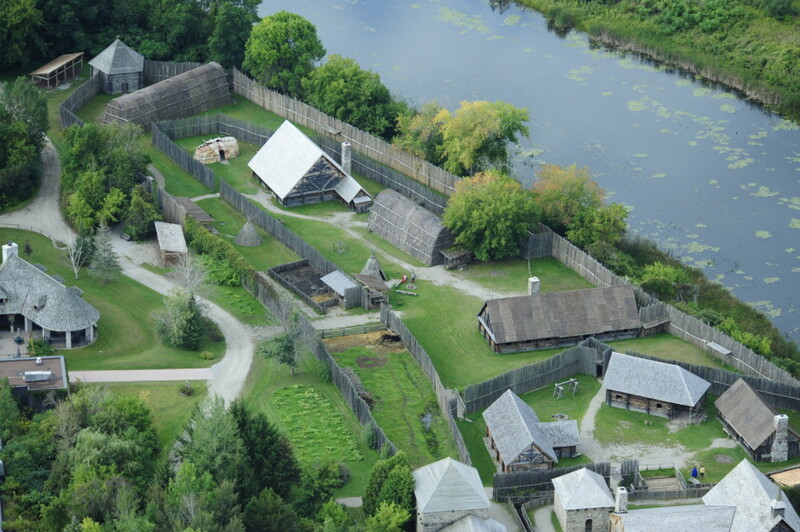 From there, we will head north to the shores of Georgian Bay to see the reconstruction of Saint-Marie among the Hurons mission. This was the first European community in Ontario and was founded by French Jesuits seeking to bring their religion to the native Huron-Wendat people. 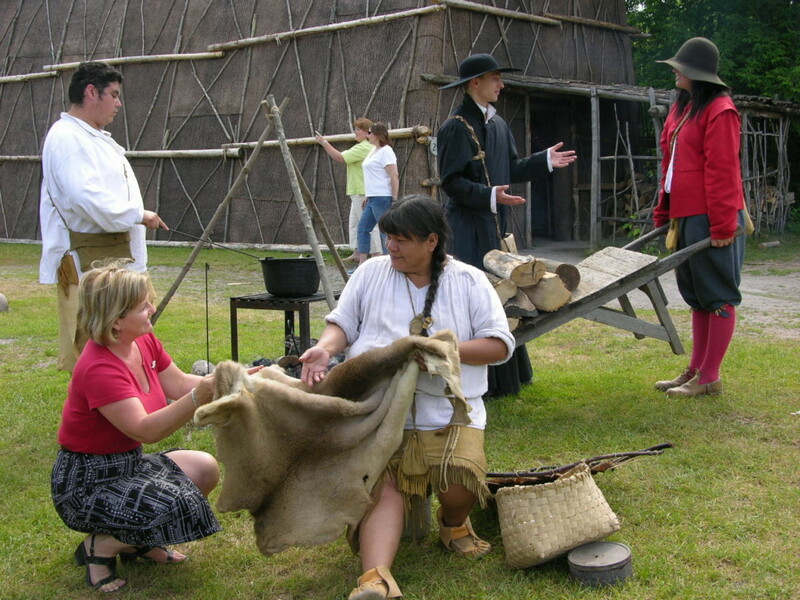 We’ll explore the world-class reconstruction where historical interpreters recreate frontier life. We will then head to Peterborough where we will stay downtown along the Otonabee River. We will begin the day with a trip to the Petroglyphs Provincial Park where we will see over 900 remarkable rock carvings done by the Algonkian people between A.D. 900 and 1400. The carvings include depictions of people, animals, shamans, boats, and more and is the largest known collection of petroglyphs in Canada. After lunch in the park we’ll head east to Ottawa, the nation’s capital. Here we will have time to explore the Canadian Museum of History. Our hotel is steps away from the museum and looks out over the Ottawa River. From Ottawa, we will continue east on our way to Fort Chambly. This National Historic Site was part of a series of forts built by the French in the 18th century along the Richelieu River. After lunch, we will continue to Quebec City. This walled city is one of the oldest European settlements in North America. Our hotel is located in the heart of downtown and you will have free time to explore the winding historic streets and enjoy magnificent views of this historic city. Our morning will be spent exploring Saint-Louis Forts and Chateaux, a National Historic Site that takes visitors under Quebec City to explore the ruins of the earliest forts (dating to the 1600s) built by the French. Then we will head north of the city to the Huron-Wendat reserve known as Wendake. 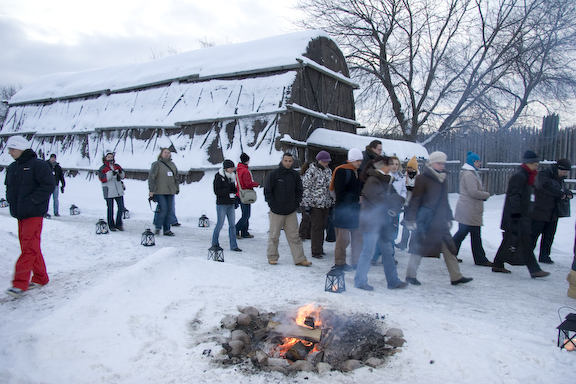 Here we will visit Onhoüa Cheteke, a traditional Huron village where members of the tribe share the history of their people. We will then continue to our hotel, the First Nations Hotel and Museum. 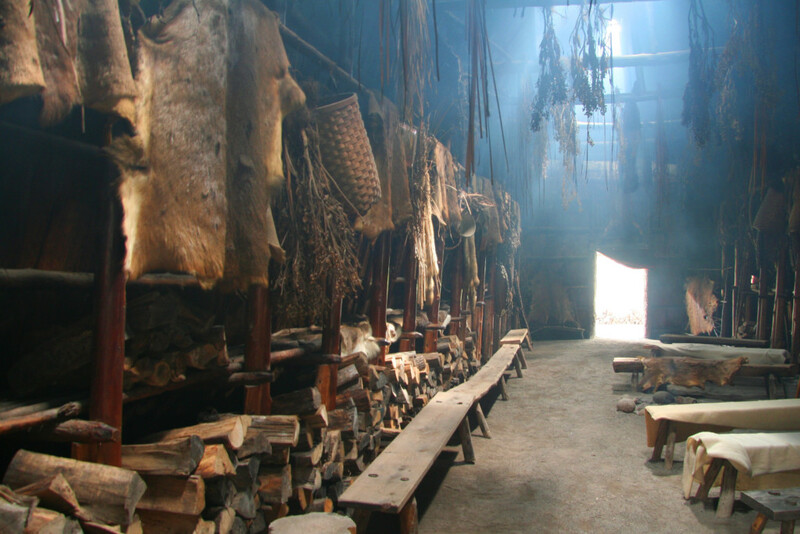 We will be given a tour of the Huron-Wendat Museum, which is attached to the hotel, as well as a reconstructed longhouse on the property. We will begin our return journey with a visit to the Point du Buisson Museum of Quebec Archaeology, the site of numerous archaeological excavations. Following lunch, we will visit the Droulers-Tsiionhiakwatha Archaeological Center, the site of a ca. 1450 Saint Lawrence Iroquois Village of approximately 500 people. 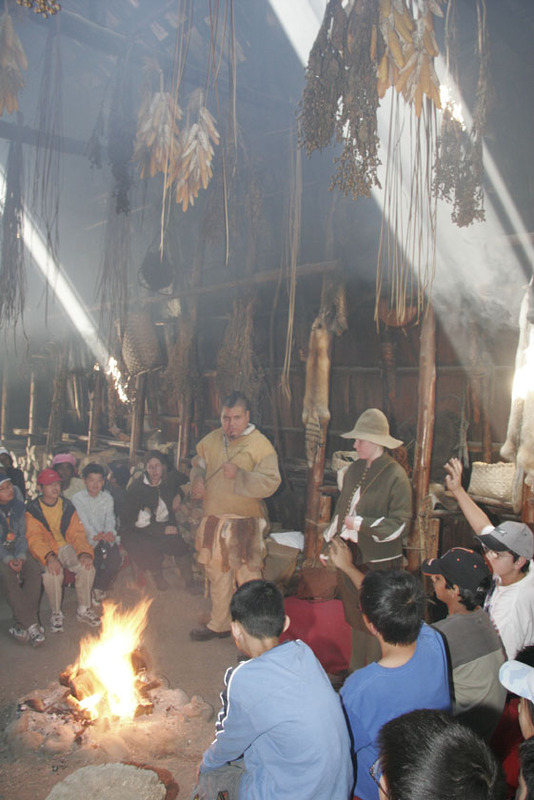 We will tour the exhibits, reconstructed longhouses, and traditional garden. We will spend the night in the resort town of Gananoque which overlooks the Thousand Islands on the Saint Lawrence River. On our final day we will return to Toronto, where we will visit the Fort York National Historic Site. The original garrison was constructed in the late 1700s to protect Toronto, then the capital of the Canadian territory, from the newly independent United States. After our visit and lunch we will return to our hotel near the airport to conclude the tour. Cost includes first-class hotel accommodations based on double occupancy (single supplement is $450), lunches, happy hours, expert Conservancy and special guides, admittance fees, tips, tours, orientations, background reading, and surface travel via air-conditioned bus with restroom. Not included are meals other than lunches and travel to and from Toronto. To join us on this tour contact us at tours.tac@gmail.com or by phone at (505) 266-1540.